Very comfortable oceanside villa with panoramic ocean views. Updated kitchen with granite counter tops and stainless appliances. LCD TV in the living room with DVD player. The master suite is located upstairs and offers a new TempurPedic king mattress for a great night's sleep and a flat screen TV. Sitting area upstairs offers a great spot for reading or board games. The second bedroom has a queen bed and private bath. The third bedroom has two twin beds, private bath and flat screen TV. Just a short walk to the club pools, golf and Club dining. Extra amenities include a gas grill and wireless internet for guests!! BEST views of our Beach Club villas. We had a great experience renting through Pam Harrington. Her team was very helpful with recommendations and responsiveness. 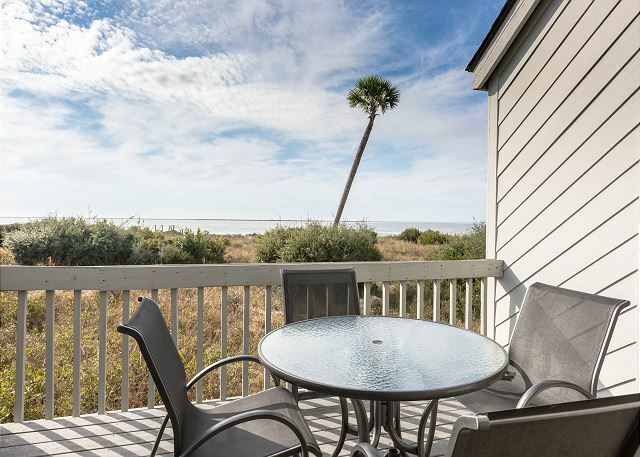 This rental is in an ideal location with private beach, all needed amenities, and beautiful views. The property was clean but could use some updates. We will be back!! Overall it was a good vacation. The location of the Villa is excellent. The commode in the bedroom with twin beds does not always quit running after you use it. The dishwasher is in a tight spot that makes it a little difficult to open/close the door. The trees by the garbage shed and front steps need to be trimmed. These are minor things and overall everything was good. 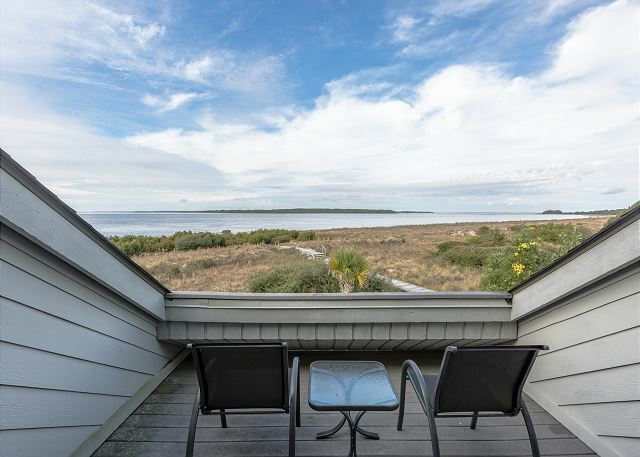 This is one of our favorite places to stay on Seabrook Island. Love the views and easy access to the beach and facilities. Plenty of room for 6. Deck face the ocean on to sides. Will definitely stay here again. We love Seabrook so much and this is an excellent place to stay! Right on the beach and super close to the pool & restaurant. We will be back! Bright and comfortable villa that is perfectly situated on beach front. The house was very nice, clean and supplied with all the essentials. There were 5 of us and we had plenty of space for a few more. Really don't have any complaints. Seabrook Exclusives is a top notch organization. Professional, friendly and always helpful. Our property had FABULOUS views. However, we would NOT be inclined to stay in this property again. It provided bare bones minimums on most amenities. Bathrooms were very plain with no updates. Kitchen offered very limited bowls, etc. Bedrooms had NO televisions. Family room television was too small and was NOT in HD. Unfortunately, it appears the owners put no effort into making it a first class property. We have been coming to Seabrook for over 20 years and have dealt with Seabrook Exclusives for most of that time. Always wonderful and sad to see the time at the beach come to an end. BUT there is next year! We would absolutely stay here again! Had an amazing week. The house is in a great location with beautiful ocean views. Was perfect for our family and dog. Seabrook is a nature lover's paradise! What a perfect week we had here at 330 Beach Club! We had a wonderful experience in Seabrook. The property is located within a gated community, it was exclusive and also had great amenities including a pool and two restaurants. 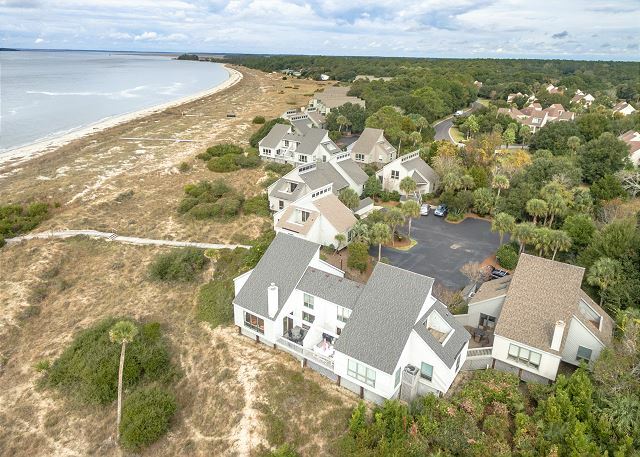 Located an easy drive from Charleston, you get to experience the best of both worlds - a nearly exclusive beach experience and an opportunity to explore the history, fun and food of Charleston. You seriously cannot beat this location. Steps from the beach, super convenient, easy walk to the beach club. Gorgeous views, the window in the living room literally feels like you are looking at a painting but no, it's your view! Two porches also with amazing views. We had 4 adults, 2 children and the dog and had plenty of room. The kids loved watching the deer who come hang around the sand dunes and the adults loved sitting on the porch with a cup of coffee. Just a heads up, the beach is narrow so when the tide comes in you have no beach and have to move down to the North beach. But it worked out fine for us because it coincided with lunch time and was good timing to take a break from the sun. The property management was amazing. I mainly worked with Betsy but everyone I spoke to was super nice and very helpful. They even responded to emails on a Sunday morning on a holiday weekend! They called to check on us twice by phone and also by email. Excellent customer service!!! This was our first visit to Seabrook, we will definitely be back!!! Wonderful beautiful views, so relaxing, love watching the shrimp boats come and go. Wonderful Week at the Beach! The property was perfect! There were four adults and two children. . .the location was very convenient to the beach and the pools! The view from the decks were amazing to just enjoy the sounds and sights of the beach and beautiful sunsets! We hope to be able to stay in this same property next year!!! Great location, beautiful views and decks to maximize the sunny weather. Great sunsets and walking on the beach. We have rented 330 Beach Club for a few years now and it has been a great rental for us. We have rented other units in the area over the years but this unit has the most wonderful view. We are elderly so the fact that there are only a few steps to climb up to the front door is an asset, and if for some reason we can't get out and about some days, the view is a comfort. The unit is well equipped and clean. It hasn't been updated completely like some of the other units but it is very comfortable. Nice water views from great room and upper porch. Short walk to beach. Is this heaven? No, it's Seabrook! yes, heavenly best describes our spring break week at Seabrook BCV 330. We are repeat guests to this property, which is the best 3 bedroom, pet-friendly, beach front location. only complaint is the kitchen. no bottle opener in the house. mismatch glasses and not enough of them.When unloading the dishwasher in the corner of the cabinets all the dishes go in cabinets above it. You have to be six feet tall to put the clean dishes up and its still a reach.Just a poor design. Did not want to leave. It was perfect. We love Seabrook! We have been coming for over 20 years. This beach club unit is perfect for our family. The views are amazing!! Pet friendly is wonderful. Having a grill is a plus. We'll be back in Nov. for another week! Another great trip to Seabrook! We love this unit...great views, the deer just outside the windows, lovely sunsets, pet friendly and a wonderful layout. The property management company(Pam Harrington) are exceptional to work with. The unit does need a bottle opener and whisk, but other than those items, this is an ideal vacation spot! Took the family to Seabrook for the holidays and just love this unit. Pet friendly and just a few steps from the beach. Very well stocked kitchen, and wonderful layout for a family. Will be reserving this one again! Our stay at Seabrook Island was wonderful. The house was spotless when we arrived. We had everything we needed for the week. Freshfields was much more than we expected. The Island Bar and Restaurant was great and the food was good. This is the only restaurant we ate at when we didn't cook at the house. The only complaint is that the walk to the beach was a little tough for someone over 65 who needs assistance and we thought the house had a pool. All in all, we would rate the place between 4 and 5. Great Vacation for my dogs! We really enjoyed our stay in Seabrook Island. Kat was extremely helpful when I had questions and very responsive, and even called to check on us once we arrived. Our dogs enjoyed swimming every day. The pools were fantastic - my 6 yr old son lived in them! Thanks for a great vacation. Seabrook Exclusives is a wonderful company to do business with. They exceed my expectations every time I rent from them. I give them my highest recommendation and sincere thanks. 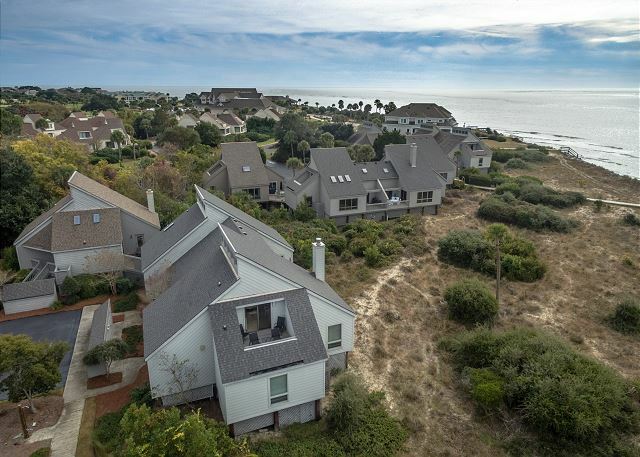 Best location on Seabrook, stunning views of the ocean, dolphins and sunsets - we can't wait to return. Thanks Seabrook Exclusives! Loved location and the beautiful views of the ocean. Esp. appreciated being able to bring our pet. This made it a family vacation. Beautiful location, right on the ocean with great sunrise & sunset. The agent at Seabrook Exclusives was very helpful and replied quickly to all correspondences. Everything is just as stated on the web site--no suprises in the quality of the villa, location, or cost. It was another wonderful week in Seabrook. The only bad part was seeing it end. Thank you!! This was our 6th stay at Seabrook and this was our favorite villa. Seabrook Exclusives is the best also. We have used two other companies and no comparison. The view from the decks were awesome. Few places on east coast where you can watch a sunset. Saw seaturtles hatch, caught a lot if fish and the beach is pristine. See you next year! Beautiful setting with great views of the sunset out the front windows! Easy access to the beach. Dog-friendly--a definite plus for us as we would not travel without them. The new kitchen floor (in addition to new appliances) was especially nice as the old one was hard to keep clean. I highly recommend this villa to anyone interesed in staying in a very nice place close to the beach--especially if they have a pet. We looked around at some of the other offerrings and there is nothing else of this size and location that even comes close! All of the staff at Seabrook Exclusives have been wonderful! This villa was great in many ways. The views and easy access to the beach were the best part. The privacy was very nice also. The unit itself was very clean and nicely organized and furnished. We had a wonderful time and the location is perfect. The only problem was that there were not enough dish towels and dish cloths in the kitchen. No potholders. We do cook quite a lot and the lack of these items was our only problem. Otherwise, everything was perfect! A fantastic place to Escage to! Our vacation rental experience was top notch from the moment we first placed our call to reserve the Beach Club Villa with Seabrook Exclusives to the moment we drove out on our last day with heavy hearts. The associates are accomodating, friendly and very helpful. All details were taken care of easily and efficiently. The villa was beautifully clean providing that perfect seaside vacation decor. 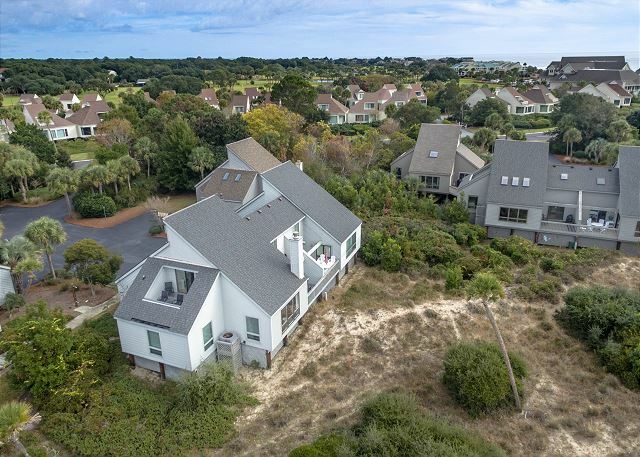 The view is breathtaking; with the main living room windows and deck looking out to the ocean enabling us to watch the deer eat their evening meal on the dunes while the pelicans fly over ahead as we sip our wine! Thank you to the Seabrook Exclusives team and to Seabrook Island itself for being such a wondeful escape. We will definitely return next year! Fantastic, beautiful wellcared for home. 3 rd visit, would buy there if I didn't have a home in Florida a and RI. All the staff with Seabrook Exclusives are professional and helpful. This was our 3rd year staying at Seabrook and although I have lived and traveled in a number of countries, it is my favorite place to be! Excellent Vacation Rental, great property, nice beach, a dogs paradise. The week at the beach house was fantastic. Great location and plenty of room. The kitchen was well stocked for preparing our Thanksgiving feast ! Only one recomendation was that the outdoor grill, the "starter" did not work properly ( was loose) and once we got the grill going it ran out of fuel the first time we used it ! Otherwise an excellent rental ! The staff at Seabrook Exclusive has always been helpful and responsive to our questions and requests. We know when we rent through them that we will be satisfied; they have been our rental agency of choice for many years. We tried another once - horrible mistake that won't happen again. Our confidence in them takes all the stress out of planning a vacation. This is our favorite villa. It's perfect for our family of 4 and 2 dogs. My only suggestion would be a bigger tv for the living room. Thank you Seabrook Exclusives! This villa was great! 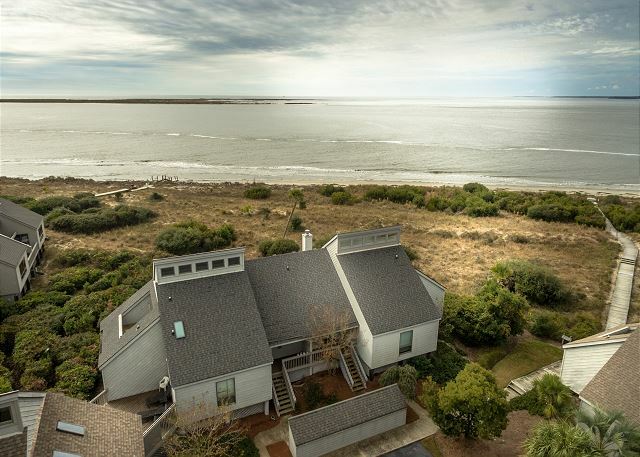 Lots of light, great views and great floor plan inside and out. Like having such a nice pet friendly unit! Can't wait to get back next year. The beach was perfect for walking. This is the second year we have been here. Great vacation rental! We were looking for a quiet, relaxing and peaceful stay...and we found it! The villa and decor is dated but clean and comfortable. The front steps/porch could use a cleaning. It offers beautiful views of the ocean. We enjoyed seeing the deer just a few feet from the deck! The boardwalk down to the private beach was very convenient, although the weeds needed trimmed back a little for safety. The kitchen was well stocked with cookware, dishes, etc. My favorite thing about the inside of the villa was the comfort and space. My favorite thing outside was the beauty of the entire island...the trees, flowers, deer, horses, dolphins, birds and even the shark that we saw. Freshfields Village and the Marina are just outside the gate...very nice and convenient. Overall, this is a perfect place for a family or romantic vacation. Looking forward to returning. The only thing I would change would be the 10:00 checkout...that was challenging for my family. We have been coming to Seabrook for 20 years and may have stayed in every Beach Club unit. 330 has the best views we have experienced. Every window and deck has a lovely, unobstructed view of the water. The decor is bright and cheerful. It was a terrific vacation and we will definitely come back!